Coffee for Roses is for busy people who want to add more beauty, fun, health, creativity and meaning into their lives. For us, all of these connect in the garden and the kitchen. You’ll find information and inspiration here about plants, gardening, cooking and nature crafts. Why the name Coffee for Roses? 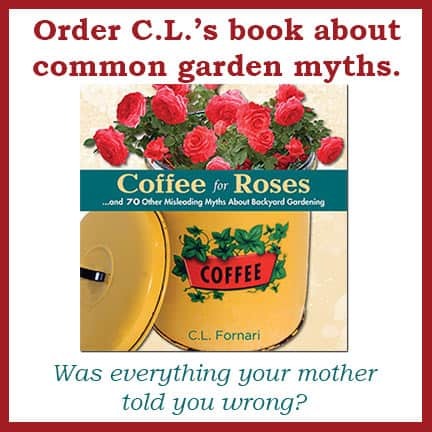 One of the gardening myths included in my new book is about putting coffee grounds around rose bushes. The publisher, Paul Kelly at St. Lynn’s Press, and I liked this as a name for this book about landscape legends. I also liked it for this blog because we think of coffee for jump-starting our mornings and roses for adding beauty to our lives. The goal of this blog is to spark splendor in your day, whether you begin it with a caffeinated beverage or not. Here are some of the regular features you’ll find on this website. Gardens Plants, gardening and the natural world are no-brainers when it comes to jump-starting a beautiful life. 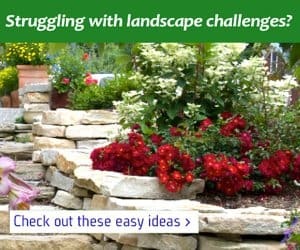 You’ll find ideas and tips for landscape projects, houseplants, vegetable gardening, and flowers woven through all of the categories here at Coffee for Roses. Lifestuff Your lifestyle and more: health, plants, weight loss, kids, friends, spirituality, and all other matters that give our lives richness and complexity. Food Wednesday is for Foodies! At Coffee for Roses we spend the middle of the week in the heart of the home. You’ll notice that many of the dishes here feature vegetables and homegrown produce. Our focus is on delicious, real food. We might even talk about coffee once in awhile…and did you know that rose petals are edible? Crafts Home and garden projects designed to jumpstart your creativity. You’ll find many craft projects posted on Fridays as A Weekend Project, but others will occasionally sneak into the rest of the week. Love This! Ideas, products and visual inspirations we just can’t resist sharing plus the “I Love This Plant!” featured on GardenLine every Saturday morning. Good Books When I read a good book I want to share it with others. Since there isn’t time to contact everyone and say “This book is so great!” a page on this blog will have to do. Some of the books you’ll find in this section are garden related and some are not. Be sure to leave a comment if you’ve enjoyed a book too! Shop Books and products written or designed by C.L. Fornari. Fun stuff, gifts and information. Some of the other regular posting topics you’ll find here are Repurposing Problems, Junk Jubilee, Madcap Quest, Child’s Play, Garden Center Safari, Kids-Crazy-Cruises, and Mishmash Monday. These may appear in any of the categories above and can be easily found by putting those terms into the home page search box. 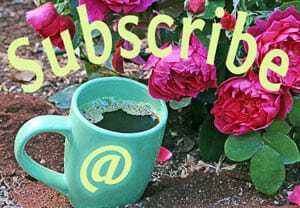 Coffee for Roses is maintained by our sponsors and affiliate advertising. If you love what we do here and find it useful, please support these businesses. C.L. 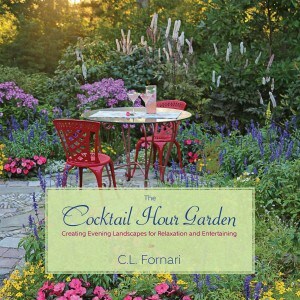 Fornari is a writer, speaker, artist, and gardener. She is the author of several books and numerous articles and does landscape consultations through Hyannis Country Garden, an independent garden center on Cape Cod. For over twelve years she has hosted GardenLine, a live two-hour call-in radio show on WXTK that is also streamed online. C.L. speaks to a variety of audiences including: landscape associations and green industry trade shows; garden clubs and horticultural societies; health and wellness conferences, churches, alumni associations, and women’s groups. In 2012 C.L. was awarded the Garden Communicator award from the Perennial Plant Association, and in 2013 three awards for excellence in communications from the Garden Writer’s Association. 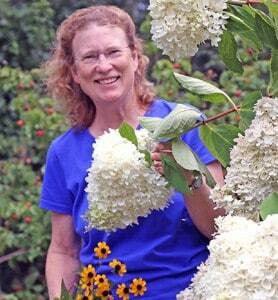 She has gardened in Wisconsin, southern California, and New York State; now she grows all manner of plants and projects at Poison Ivy Acres on Cape Cod. All sidebar ads on Coffee for Roses are done through Adproval. Please see their marketplace for more information. Any product recommendations and links in the posts on this website are for things we truly love and find useful. We do not accept sponsored links to products we haven’t tried or admire. If you’re interested in reprinting any post from Coffee For Roses here please contact us at the email above for more information. It is the policy at Coffee for Roses to approve all comments that add to the discussion at hand. Just as invasive species, rampant weeds and problematic plants that disrupt the garden’s harmony are pulled and composted, remarks that are nasty, hurtful, or completely off topic will be refused or removed from this blog. Play nice, share your toys, and treat other people how you want to be treated.